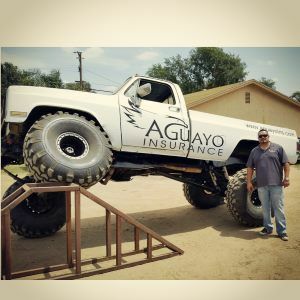 About Aguayo Insurance Solutions, Inc. in Moreno Valley and Hemet California - Aguayo Insurance Solutions, Inc.
About Aguayo Insurance Solutions, Inc.
Aguayo Insurance Solutions, Inc. is a full service property and casualty independent insurance agency, representing many different carriers. Unlike many insurance agencies that offer policies from a single provider, our loyalty is to our customers. Our ability to provide competitive quotes from various companies gives our customers far greater control and buying power. This flexibility also allows us to provide different types and levels of coverage as our customers insurance needs change. At Aguayo Insurance Solutions, we build lifelong relationships by providing the most responsive, personalized customer service and the best, most affordable insurance possible to our customers. We invite you to call 951-601-2055 or come by our offices at 14055 Perris Blvd., Ste 104 in Moreno Valley. We will be happy to provide you an "apples to apples" comparison of your current insurance and our offerings. Chances are we can save you some money on your home, auto, life, health or business insurance.